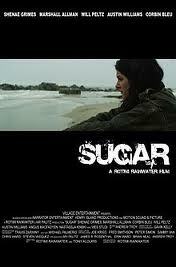 ‘SUGAR’ opened in Los Angeles last night, Friday, November 22 at the Downtown Independent! What happens to kids when they don’t have parents who support them, to bring them on casting calls, or soccer practice, or ballet lessons? Who makes sure their homework gets done and that they are eating healthy? 1.6 million kids in the US are homeless and, surprisingly enough, for many of them, it is out of their own volition. Most of the time they are running away from something, escaping a painful situation that they can not bear; abuse, bullying, loss, or addiction. Meet ‘Sugar’ a homeless girl living in the artsy bohemian town of Venice Beach, California with her ‘new’ family; Marshall, Ronnie, Sketch, and Free. After something tragic (explained later in the film), happens to her ‘real’ biological family, she is sleeping under an overpass, scrounging money from a social worker, Bishop, who, if she confides in, will give her a stipend. Leary, defensive, and untrusting of anyone in ‘the system,’ she feeds him just the bare minimum of information about her past, just enough to get paid and leave his office abruptly, making sure she is only referred to by her street name, ‘Sugar’. As the sessions continue, Bishop is hoping to establish a trusting relationship, break down her barriers, and uncover more information in order to help her and her other homeless friends obtain a better life. As can be expected, petty crime, drug use, fights, and death become an everyday occurrence. She values the freedom that comes with the streets, where no one cares about what you wear, or where you came from, and learns Free’s secret to life, ‘when you know that life is going to end eventually, there is nothing really to worry about and when you aren’t worried, then it can become a lot more fun.’ However, it is not all ‘fun’ out there. The harsh reality takes it’s toll on her, and she grows tired. In support and in conjunction with National Homeless Youth Awareness Month, SUGAR has also created FIGHTING FOR THE HOMELESS (http://igg.me/at/Filmanthropy/x/3548242), an Indiegogo Campaign with a goal to feed 10,000 homeless youth and draw awareness to the growing issue of homelessness. SUGAR has partnered with Subway, The National Coalition for the Homeless, My Friends Place, and Attention Homes in order to reach their goal of feeding 10,000 hungry and educating and inspiring the public to get involved. 80% of proceeds from this campaign will go towards the partnered organizations and shelters throughout the country in order to help them to continue their invaluable work towards feeding the hungry, eradicating homelessness and providing a safe haven for those plagued by life on the streets. Cookiness Evereat volunteers when she hears that she gets to eat cookies and food in order to win the games. Starring ‘Pita Bread’ as Peeta Mellark and ‘Finicky Eater’ as Finnick Odair. Rome Film Festival Director, Marco Mueller (former head of the Venice Film Festival), has already proved himself with this year’s Rome line up, has the festival headed in the right direction with his sights set high for future years, and did an INCREDIBLE job assuring the safety and well-being for the thousands upon thousands of screaming young fans who warmly greeted the ‘Hunger Games, Catching Fire’ cast molto spiritosi, Beatles style! From Christian Bale in “Out of the Furnace”, Spike Jonze’s “Her”, to ‘Dallas Buyers Club’, the lifetime achievement award which went to Aleksej Jurevic German’s Out of Competition Film, “Hard To Be A God,” the festival did not disappoint. was an absolute success with the fans who camped out OVERNIGHT just to catch a glimpse or perhaps an autograph from Jennifer, Josh, and Liam. It was truly amazing. In what felt much like the gladiator ring, girls were crying, screaming as if the Beatles had just come to town, security guards were literally pushing rows and rows of thousands of excited fans back, while Jennifer cleverly entertained them by organizing a wave, to which the fans in the upper tiers, quickly followed suit. Adorable, passionate fans! The film does NOT disappoint! 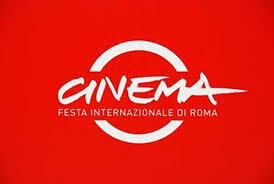 ‘Catching Fire’ Producer: Jon Kilik, One World Cinema Editor: Sharon Abella, and Rome Film Festival Director, Marco Mueller. “WEB” Travel to Antuyo, Peru where young students are given laptops for the first time! WINNER OF AUDIENCE AWARD AT DOC NYC! Congrats! In 2004, Bill Clinton tells Cornell University’s graduating class, “We can not escape each other. We are interdependent, and living in an era that is bringing people together for common good.” He suggests reading ‘Nonzero’ by Robert Wright. Travel to the remote areas of Antuyo (population 100), and Purus, Peru, where many work in agriculture and ranching, have never traveled very far from home, and some, live without electricity. Observe as the students in the towns are given a $100 laptop computer as part of the One Laptop per Child initiative (an initiative to deliver laptops to children living in developing areas as a way to eliminate poverty by providing primary education for school/play). Two of the students (Roy and Bernardo), bring the laptops home to show their parents. What are their concerns? Do the students need to see the rest of the world via internet, and learn about other nations and cultures? Should they be learning how to build roads and continue to work on developing the land around them within their own communities? Can the internet help them better their lives? What are the pro’s and con’s when the most remote, isolated areas of the world become interconnected? You are currently viewing the archives for November, 2013 at One World Cinema.